I'm interested in doing soap opera background work in NYC. 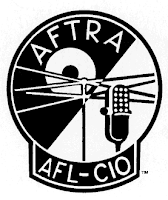 I'm non-union, but I would join AFTRA. How do I go about getting that first BG soap job? 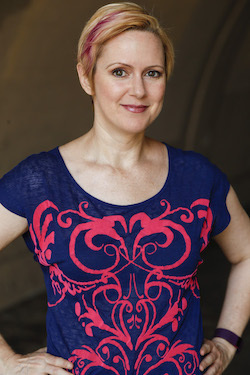 I met the associate casting director of “One Life To Live” (Tori Visgilio) last March, and my headshot wasn't the best. I think that might have affected my chances of getting called in. I currently have new, improved headshots. My question is how do I go about contacting the associate casting director of “One Life To Live” and get put on the background soap list? First off, while Tori is a great person to know at the OLTL office, Sheryl Baker Fisher is the person who officially handles background work, so it would be a good idea to meet her and get her your new materials. When you submit, be sure to mention that you have already met Tori, and include where you met her. Their address is: 320 West 66th Street New York, N. Y. 10023. Secondly, as you mentioned, only AFTRA members are able to do background work on soaps, so you would have to either join the union right now, or be prepared to join after you book your first job (once you accept an AFTRA job, you have 30 days before you become a "must join”, and then you must pay the initiation fee, currently, $1600, before doing any other AFTRA work.) The best way to communicate this to the casting director is simply to include it in your cover letter: let them know that you are prepared to join AFTRA and are interested in working on as many episodes as possible. Note: joining one union means that you commit to stop working for ALL non-union producers, not just the TV ones -- it also includes non-union films and non-union theater. There is a solidarity agreement that states that once an actor joins one union, you should not do any other non-union work. It sounds like you have taken most of the right steps -- try some of the slight adjustments above and hopefully it will work out in your favor. Good luck!